Prepare yourself for our AW18 collection! Find navy, blush, silver, dark green and other beautiful hues in different designs: Heels, sneakers, boots and much more. Keep yourself updated as more new styles will gradually enter our online shop! Find styles with studs like our pump Jane and our ballerina Juno and loafer Zola. We have something for everyone! This season you will also find a new sneaker model, Li Lace Up and Li Velcro. They come in white, black, blush and silver. Silver is big this year, so bright up your wardrobe with some shine! This season our popular wedge sneaker Ava is back in grained leather and also in a high shaft model. We introduced Ava last season and it showed much popularity with you guys, so look forward to meet Ava Grain! 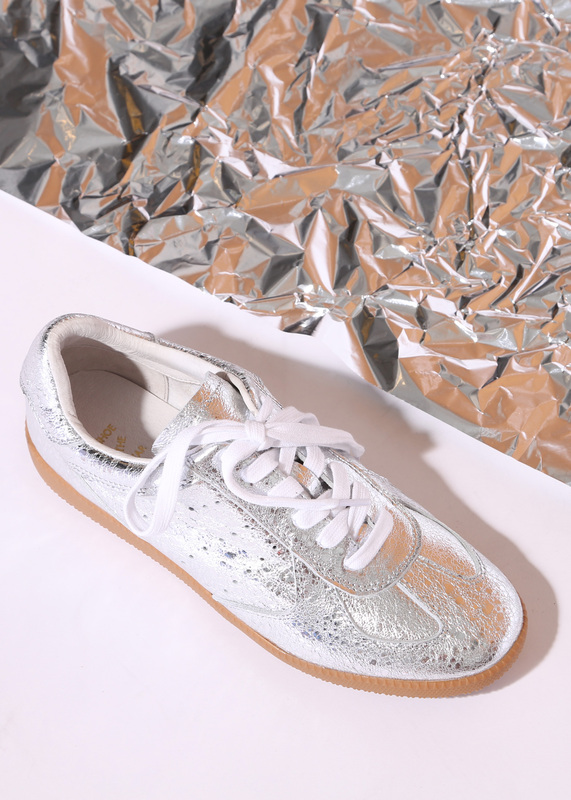 Silver is big this year, so bright up your wardrobe with some shine! Mules are big this summer and will be in autumn too! Mules offer a covered-up yet more liberating option ideal for the transitional period before snowy weather for real sets in. 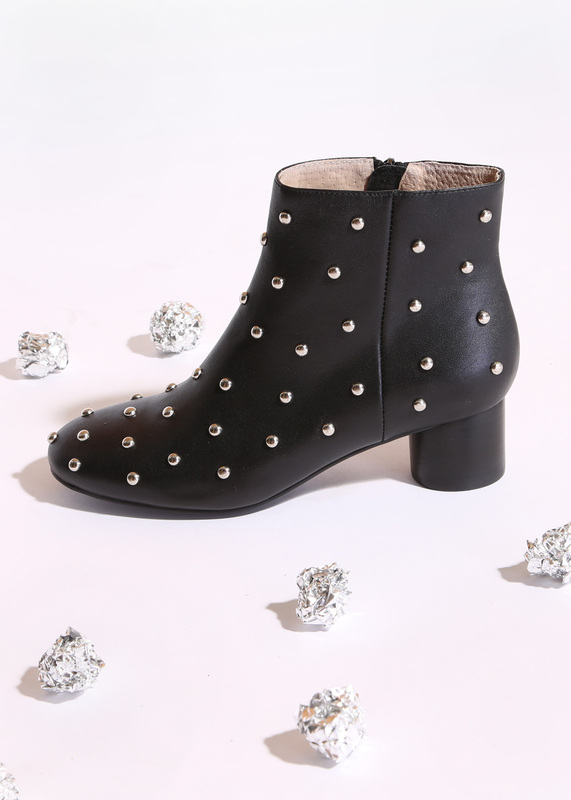 This season you will finde our edgy mule Alea with overall studded upper and sassy pointy toe. It comes with soft leather insole and elegant wedge heel. Alea is perfect for adding a twist to your everyday outfit. Stay tuned for more beautiful styles that will drop on our online shop, and prepare yourself to step into the new season in style!